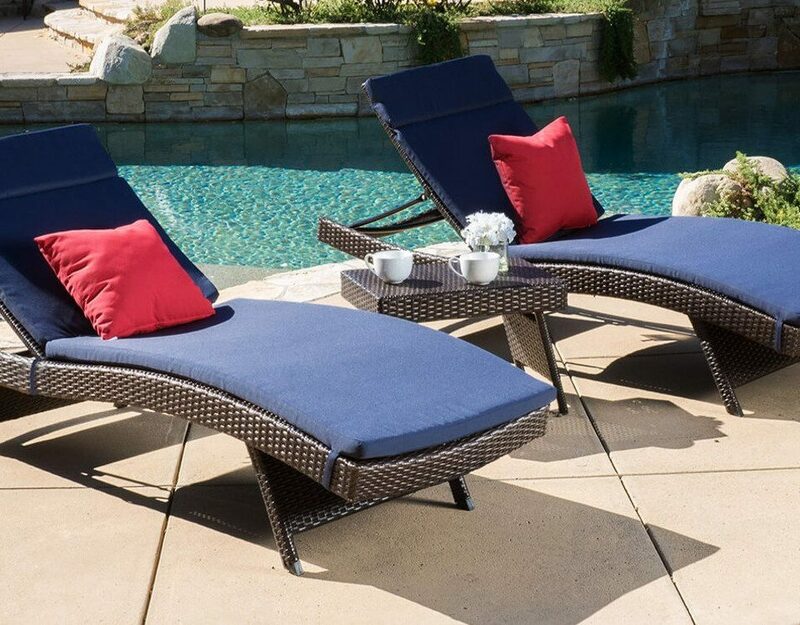 Finally, you get to sit by the pool, dig into that magazine or juicy fiction book, when all of a sudden the kids are by your side complaining that they don’t have anything to do. What?! Here they are with a huge pool in front of them and they can’t figure out what to do? Well, Mom, they just need a little list of some super fun pool games for kids and you can get back to that book! Most of the games included in this list don’t even need any materials, other need a pool noodle or possibly a few other items–all of which you should have around the house. The games listed are for well-abled swimmers, but you will probably still want to keep an eye on the kids as they play. Have 1 child (shark) the middle of the pool. Have all other kids (sharks) on the side of the pool. The object of the game is for the “minnows” to get across the pool without getting caught by the sharks. If a minnow is caught, then it becomes a shark. Throw a bunch of change in the pool, and let your swimmers scoop it up. Work fast to get the most change! Super easy and and a big hit with the kids. Have everyone get in the pool and line up along the edge. Everyone starts to walk, then jog and then run around the edge another couple of minutes. If done correctly, the water will “carry” them around the pool. Next, have everyone turn around and try to go against the current! A super fun relay race. Play as individuals or in teams. Players must push a watermelon from one end of the pool to the other without touching the bottom of the pool with their feet. It hasn’t changed a bit since you were a kid. 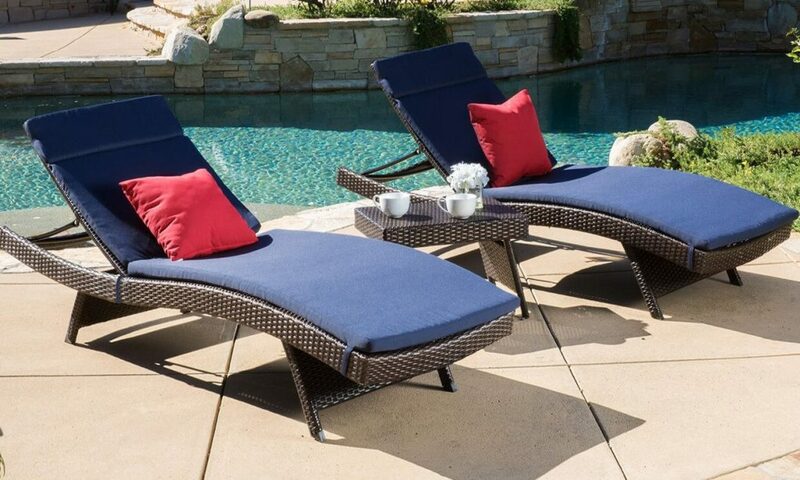 Have all the kids line up and see who can make the biggest splash all while landing on their belly in the pool! This is just like the game whack-a-mole, but in the pool. Using a pool noodle, the “wacker”must try and pluck off the bobbing players when they pop up from under the water. Once they’re all plucked off, trade places and bob again. Jump from a diving board or the side of a pool as high as possible, bringing your knees as close as you can to your chest. Grab and hold onto your knees with both arms, like you’re hugging them. Tuck your chin and plunge into the water like a cannonball. See who makes the biggest splash. “It” is in the middle of the pool. Players try to get from one side of the pool to the other without getting tagged by “It.” When “It” tags a player, they join them in the middle and hold hands. Subsequent players join in as well until you have a long line (an octopus) in the middle. Play until 1 is left, and then start again. Dump a bucket of ping pong balls into the water. Meanwhile, place a bucket on each side of the pool. Split players into 2 teams. Players must collect ping pong balls, one at a time, and carry them back to their team’s bucket. The team with the most balls and the end of a time limit wins. Sit on a pool noodle like a horse and race from one side of the pool to the other. It may look easier than it is. 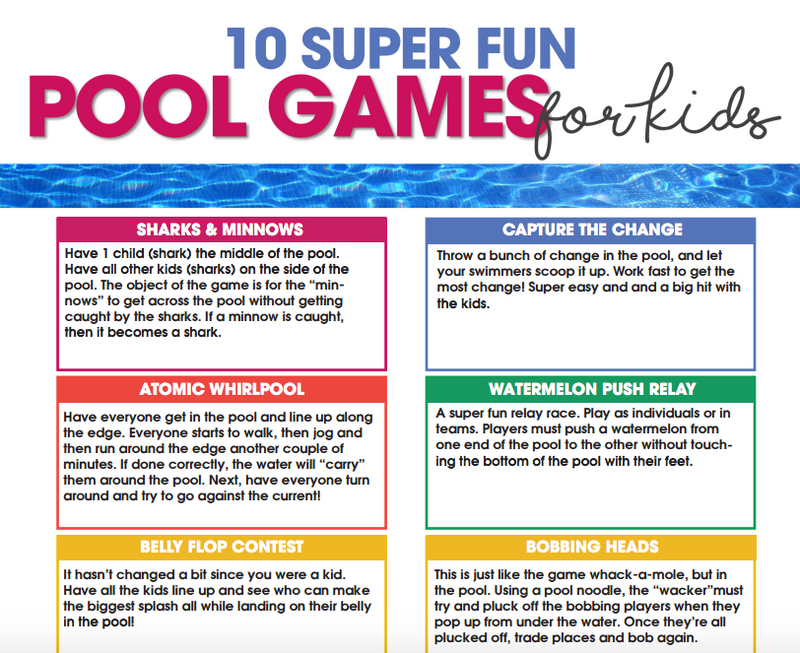 Play as individuals or do as a relay in teams.Get the free printable Pool Games for Kids list here, get it laminated or keep it in a ziploc and keep it in your pool bag. Anytime the kids need a new game idea, they can get it out and pick one off the list.